To lessen the bodily injuries of the players, we take the following preventions. We select the field after we examine the condition of the turf, lights and the conditions of the facilities. We instruct accordingly to the level and the skills of each players. We always take enough time for warm up and cool down. players and trained to manage themselves at the emergency. In addition, Rugby Park Japan is in the following insurances. ■We teach rugby based on the level of each players. As Rugby Park Japan will not organize a match between the other rugby clubs,there is no competition among the players and each player can practice according to their level of the skills. There are players who want to play in the Olympic Games in 2020 and the World Cup in 2019. Also there are players who just started playing rugby or players just want to improve and be more successful player in their own team. 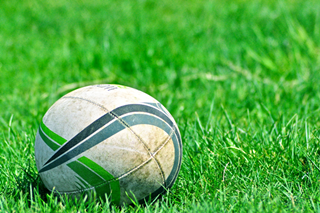 Throughout being a rugby player, we want our students to be more successful rugby player. But, we want them to encourage themselves more as a person. thing communication between coaches, parents, and players is very important. 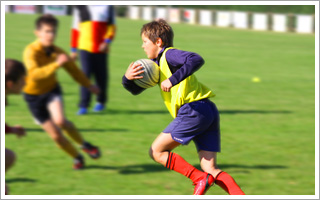 For the classes for 1st -6th grade we simply want them to enjoy playing rugby. We want them to know that as long as we keep the rules, need to overcome the tough situation in the game, rugby is fun and understand that we need to Once they are fascinated by the fun part of rugby, the next step is to play at the upper classes. For the classes for 7-9th grade, we want them enjoy that they can improve themselves through rugby and enjoy the “team play”. I hope some will enjoying playing as a Japanese national team! By piling up the questions, “why?”, the players will play rugby with full intention,and they will practice rugby thinking what is the practice intending. This is one of the key to get closer to the top-players. There are various reasons and motivations that players started playing rugby Some said they saw rugby on TV, they played Tag Rugby before, their father plays rugby. We always encourage and motivate our players to deepen their interest and their motivation. Players enjoy playing and they will learn how to care the other friends and courage. For the players from 1st to 6th grade, we call them “golden age” to make the solid basis in fitness which is the key to become a good player. The players from 1st-6th grade will not practice the contact-play each other but use the contact bag. However, when the players proved that they are able to do contact play, then we allow them to join in the basic practice with elders, 7th -9th grades. The most excited moment in rugby is to share the win with the team mates under the rule and the spirit of fair play. Rugby Park Japan is to teach the players to dedicate themselves to the their own team. To achieve these purposes, we start the practice with repeating the basic training (including physical training),and advanced basic training using game methods. The practice for tackling and crashing will start from 7th grade. However, as these actions might lead to a serious injure,we pay attention for the safety of the players.